The energy Regulatory Commission (ERC) wanted that the bill deposit amount will be included in the consumers electric bill including interests from previews years. All electricity consumers must pay the deposit equivalent to the average monthly electricity consumption which is called the "bill deposit". 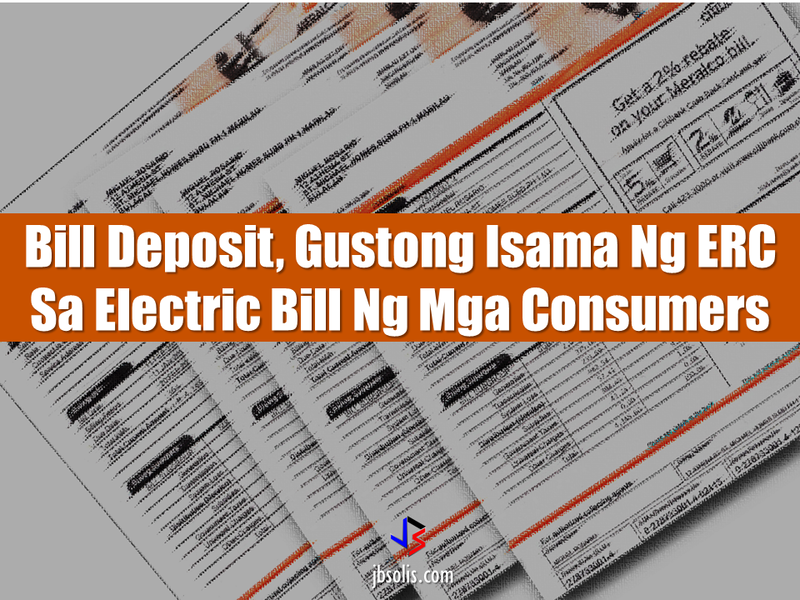 In the case of Meralco, because the consumers deposit gain interests over the years, it is being updated every year in order to refund the excess payment or collect additional deposit should the customer consumption increase. But the ERC wants that the interest of the bill deposit be "compounded". For example, if the deposit will be P1,000 and the interest is 1%, it has to be P1,010 in the first year and P1,020 for the succeeding year due to interest. 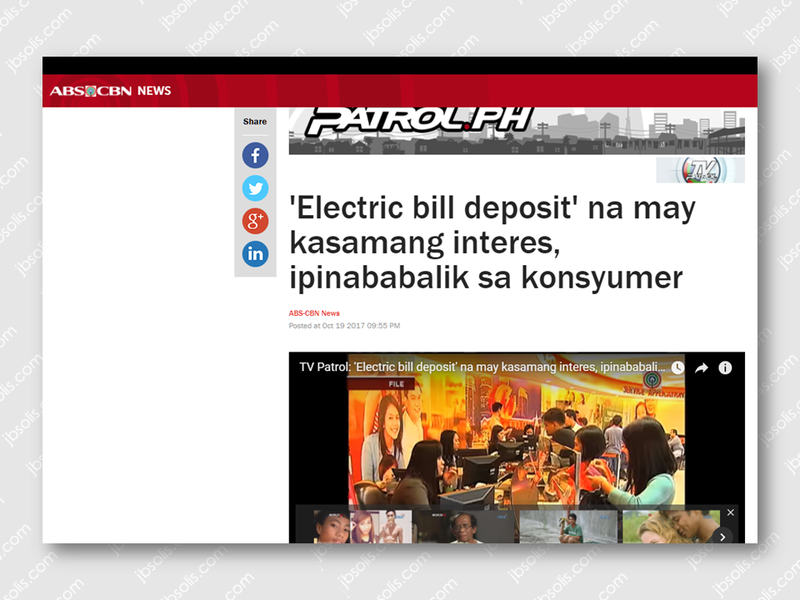 The ERC also requires that the bill would reflect the exact bill deposit of every consumer. The bill deposit of consumers who religiously pay their bill on time for the period of 3 consecutive years could also be refunded. Atty. 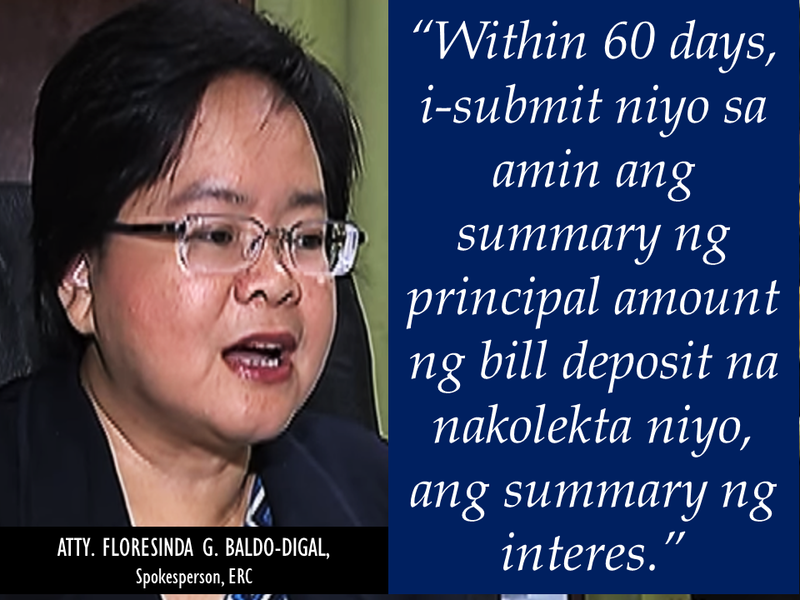 Rexie Baldo-Digal, ERC spokesperson said that they require that the bill deposit summary must be submitted within 60 days. The ERC also wanted to find out if the cooperatives has secured records of consumer deposits and how much are the interests earned from it. The ERC will wait for the statement from the stake holders including consumers, various groups and cooperatives until October 31 before the new rule will be finally released.